It was a quiet weekend, we didn’t do much: Zen had his softball and Japanese lesson and swimming lesson, one night we ate gelato, and we sat by the pool on Sunday drinking and chatting. On Sunday I got a haircut. Oma and Opa came back from Bali on Thursday, so I quickly burned a DVD of the trip for them and we watched it Saturday night. Saturday I went to IMM and finally got Naoko the green banker’s lamp that she had wanted for such a long time. Yay! 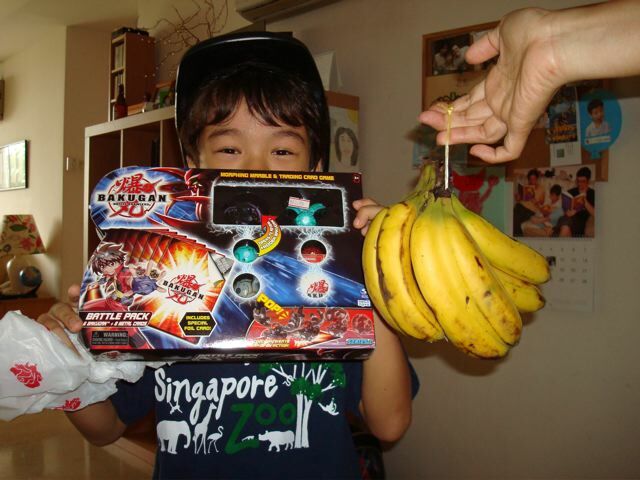 On Saturday morning, Zen and I went on a shopping expedition for his Bakugan toy and for bananas. 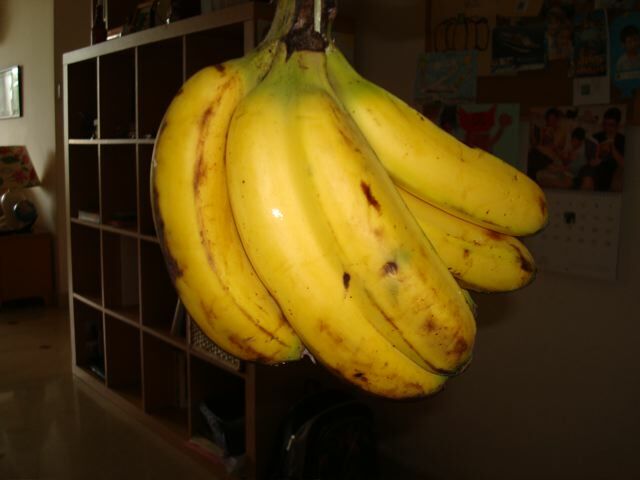 We got the bakugan, and also a surprise when we looked at the bananas – two of them had been born joined at the seam. Conjoined twin bananas! 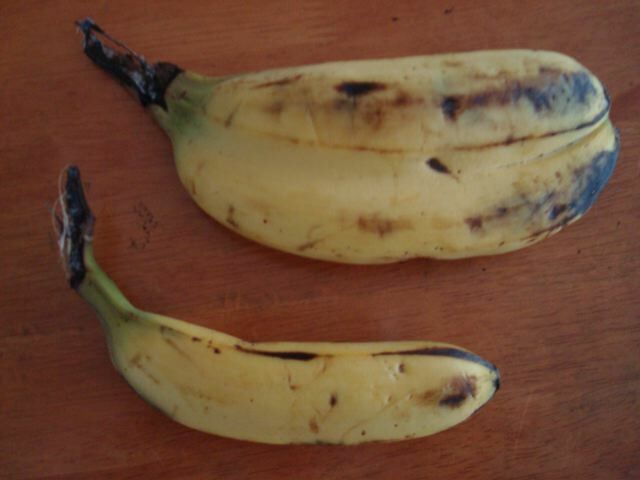 The “banana” with a regular one for comparison. Seems pretty ripe, we better eat it soon. I’m sure it will be yummy! 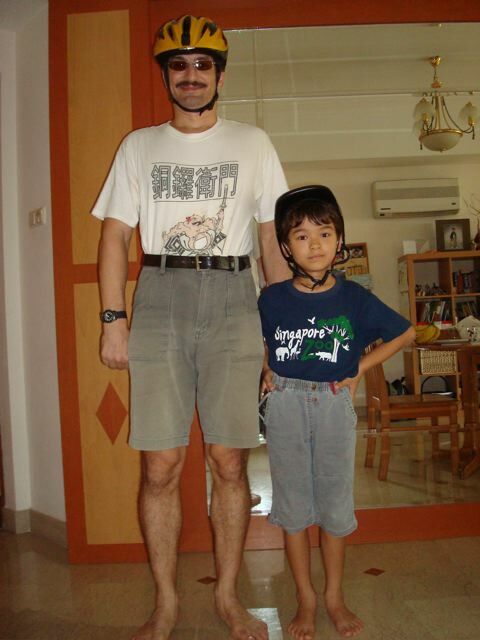 This entry was posted on Sunday, February 8th, 2009 at 10:07 am	and is filed under Uncategorized. You can follow any responses to this entry through the RSS 2.0 feed. Both comments and pings are currently closed.